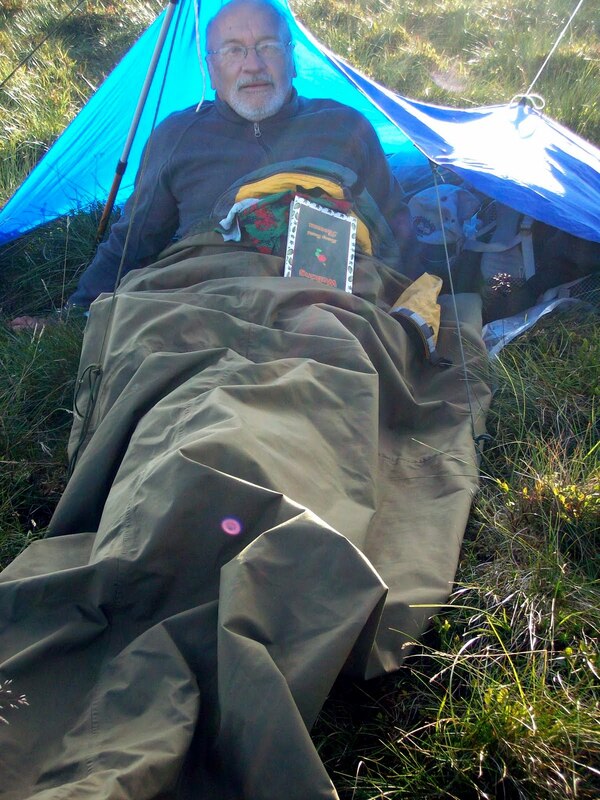 My brother in law, Andy, had a window for two days backpacking on the above dates. 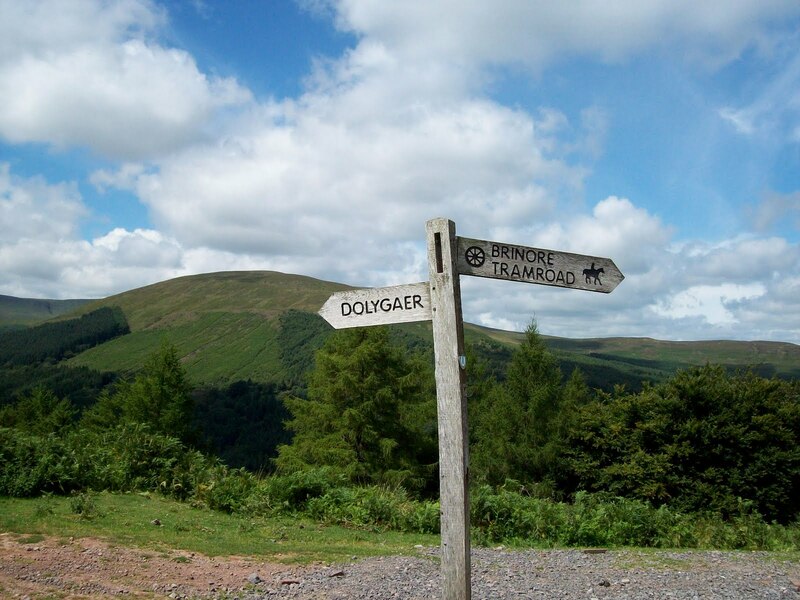 We agreed on the Brecon Beacons and I would look for a venue. 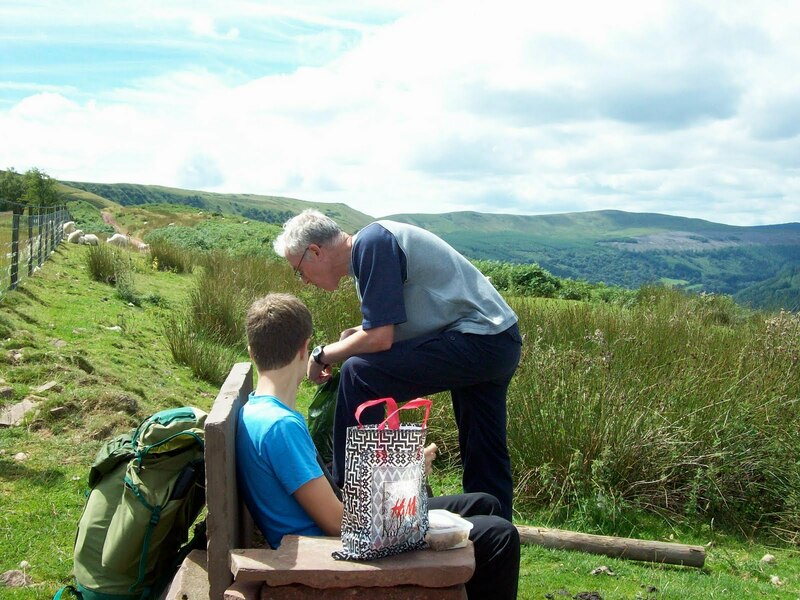 His son Ewan would also be joining us as a practice for his D of E trip in September. 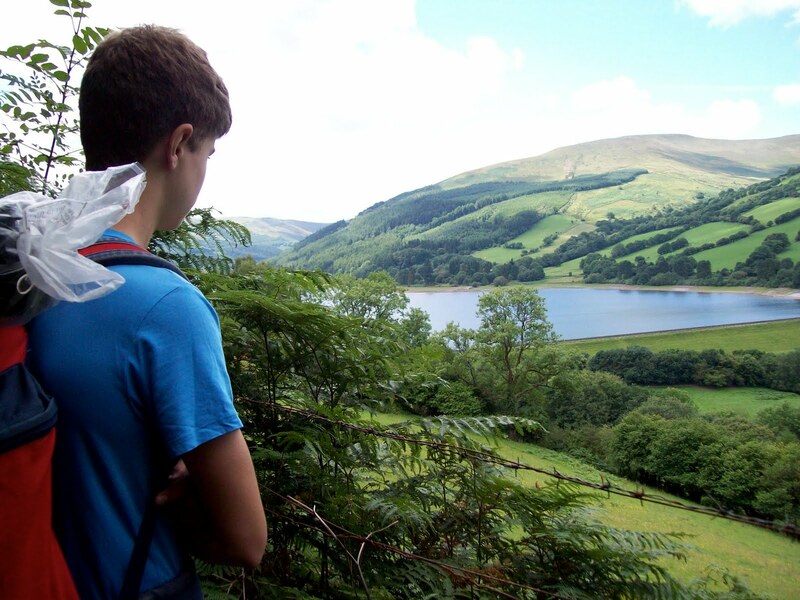 I leafed through the routes in Trail Magazine and found an ideal trip on the hills surrounding the Talybont Reservoir as described by Tom Hutton. The weather forecast for the Monday was good with mist and sunshine on Tuesday. We parked up in the village of Talybont and set off onto the Taff Trail heading south west with views of the reservoir coming into sight. 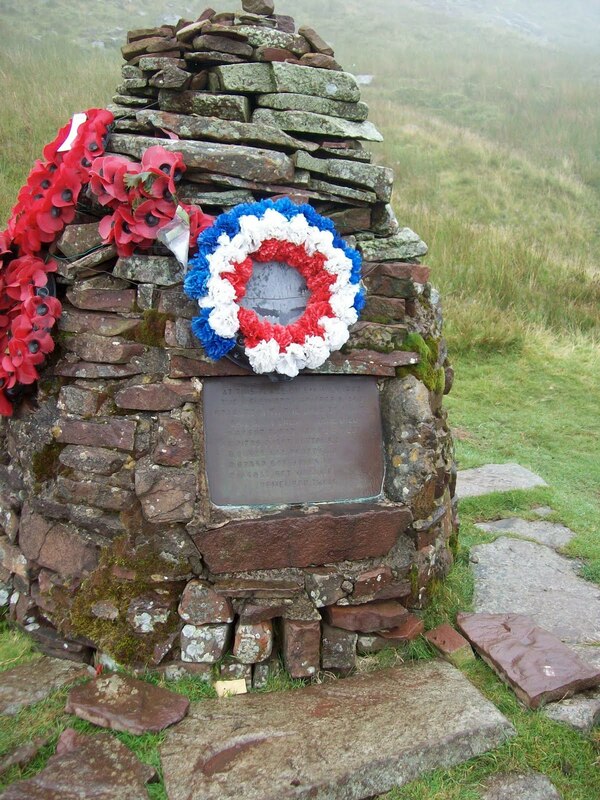 The route was a steady incline up to pen Rhiw Calch where we had some lunch. It was here that Andy realised that they had forgotten to pack rice for the evening meal of curry. Fortunately he had brought noodles – similar!. We continued now with wide views all around. 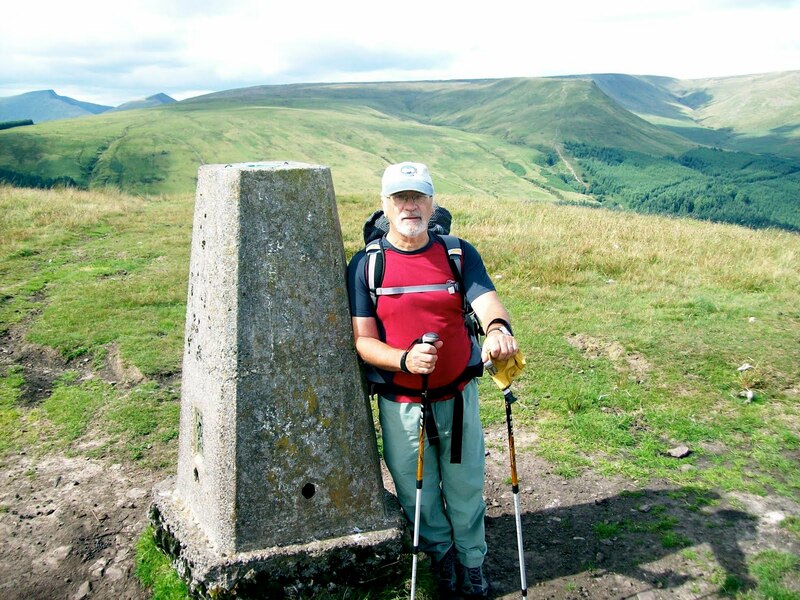 The route led us to Pen Bwlch Glasgwm, Darren Fach, Darren Fawr and onto the trig point near Pant Y Creigiau. We had a break here before descending down hill to the road and then climbing back up the opposite hillside. The obvious footpath was under repair although we did not know there was a diversion as we joined it after crossing the Nant Bwrefwr. 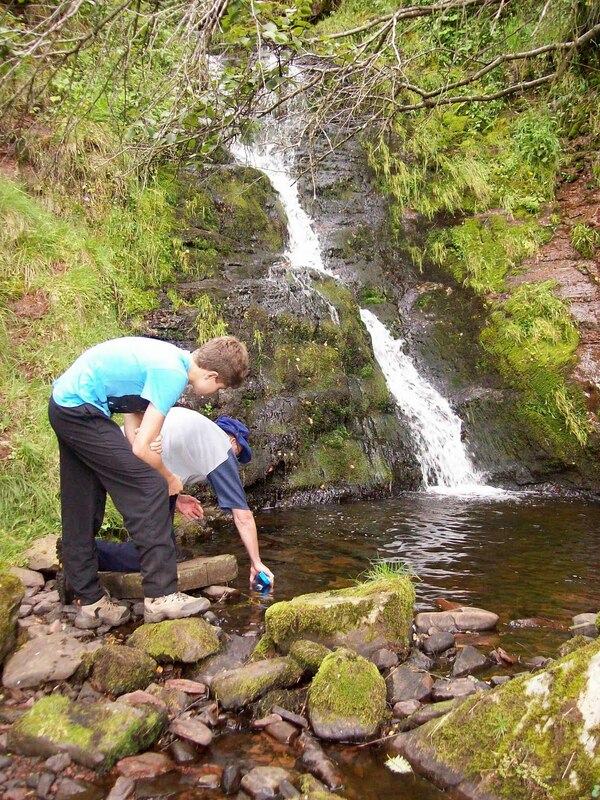 The suggested wild camps did not appeal and so we walked on and found a fairly flat site just below Craig y Fan Ddu. 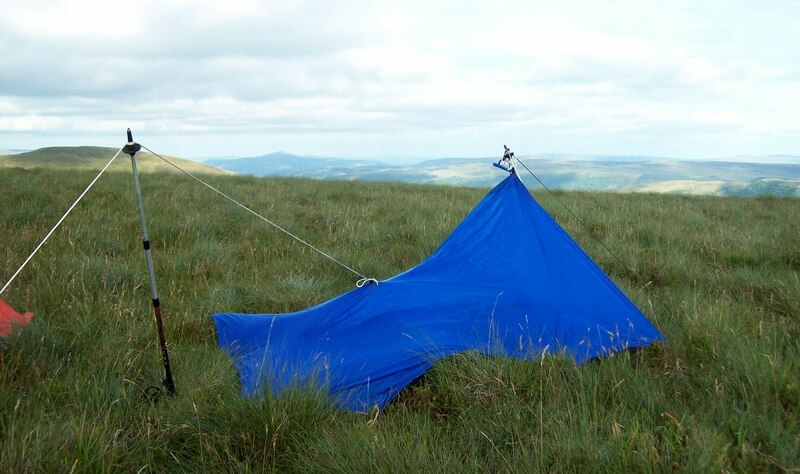 Andy had brought a tent for himself and Ewan, whereas I used my micro tarp. After food and a short walk to look down the valley of the Caerfanell valley. We were in bed before 2100!. I woke early to hear rain falling on the tarp and very heavy mist. After breakfast and packing up we set off having to use the map, compass and GPS to ensure we stayed en route. We followed the edge of the escarpment to the path running east on Waun Rydd. 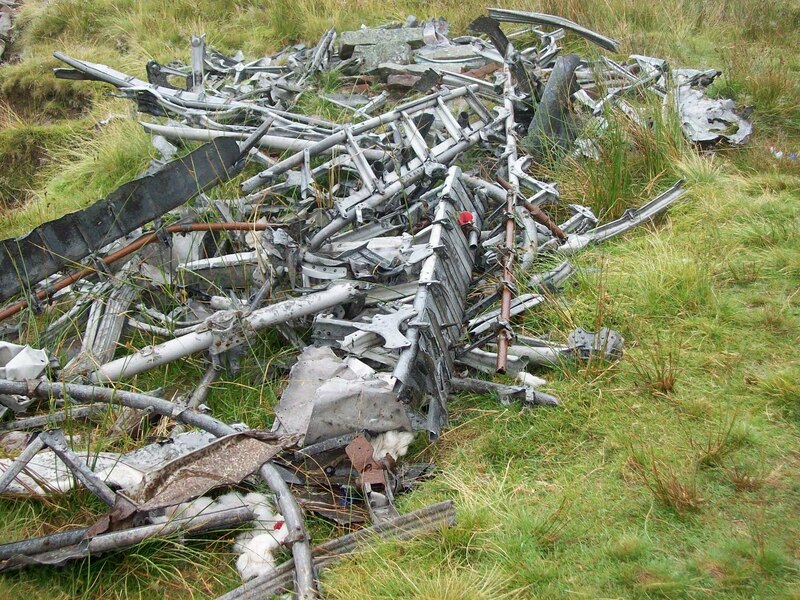 We then turned to follow the edge of Cwar y Gigfran after visiting the Memorial to the Canadian crew who perished in their Wellington aeroplane, bits of which were still on the ground. 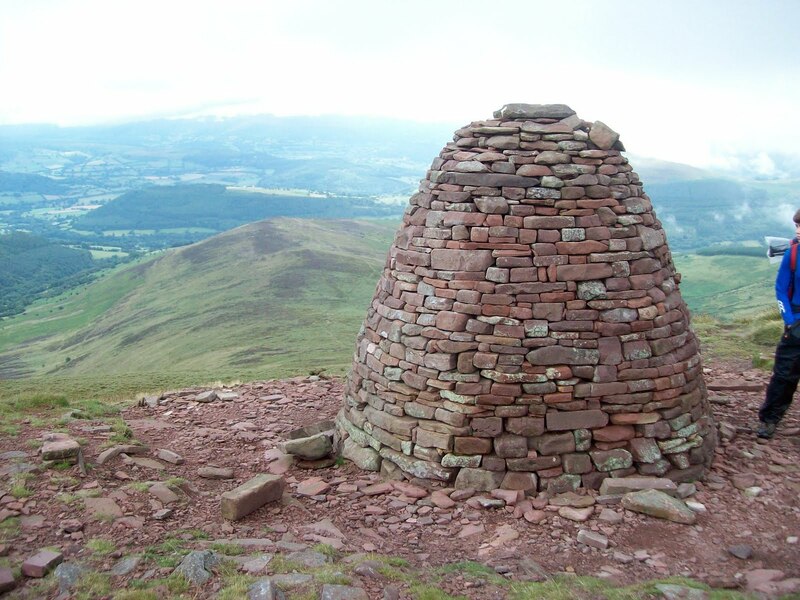 At Carn Pica, where there is a superb cairn which shows the path down to Twyn Du and then down to the reservoir and back to Talybont. Once again a great two days and looking forward to more.